The EU-Ukraine Civil Society Platform (CSP) has urged Kyiv to implement more consistent reforms in various sectors and to give the issue of low wages and poverty the highest priority. These issues were addressed at the 6th CSP meeting in Brussels, where members of the platform discussed progress in the implementation of the EU-Ukraine Association Agreement, as well as the role of pay in poverty reduction and its impact on labour migration, and climate change. H.E. Mykola Tochytskyi, Head of the Mission of Ukraine to the EU and Ambassador of Ukraine to Belgium and Luxembourg, emphasised that the Association Agreement, which extended to more than 1200 pages, remained a tough task to implement. “For the coming years up to 2020 we will need to prepare more than 2000 tasks and more than 5000 concrete measures to implement the Association Agreement”. The CSP members expressed their satisfaction with the new Action Plan to implement the Association Agreement adopted by the government of Ukraine. “It is very welcome that with the Action Plan there is an agreed and structured strategy of which all the important actors in Ukraine have ownership,” said Peter Wagner, head of the Support Group for Ukraine at the European Commission. However, it was acknowledged that consistent implementation of reforms is needed in various areas including the sectors of energy and energy-efficiency, healthcare and public administration. The CSP urged Ukraine to withdraw the provisions of the Anti-Corruption Law. The law, introduced in March 2017, has been criticised because of a new requirement for anti-corruption NGOs and activists to submit asset declarations. The Civil Society Platform expressed concern about the persistent use of gas supplies as political leverage by Russia. “We have been hearing for the last two years talk about energy security, it also refers to the Nord Stream 2, which might have some adverse effects on Ukraine,” warned Alfredas Jonuška, co-chair of the EU-Ukraine Civil Society Platform. In the joint declaration, the EU-Ukraine Civil Society Platform also denounced the illegal elections held in Crimea in March 2018 and called for the immediate liberation of all Ukrainian political prisoners illegally detained in Russia and hostages of Russian proxies in the occupied territories. The CSP noted that despite the commitments under the Association agreement negative trends have deepened in Ukraine concerning low earnings levels. Despite some positive steps, the minimum salary does not exceed the lowest minimum salary in the EU. Purchasing power has also fallen in Ukraine, which is one of the reasons of the economic recession. 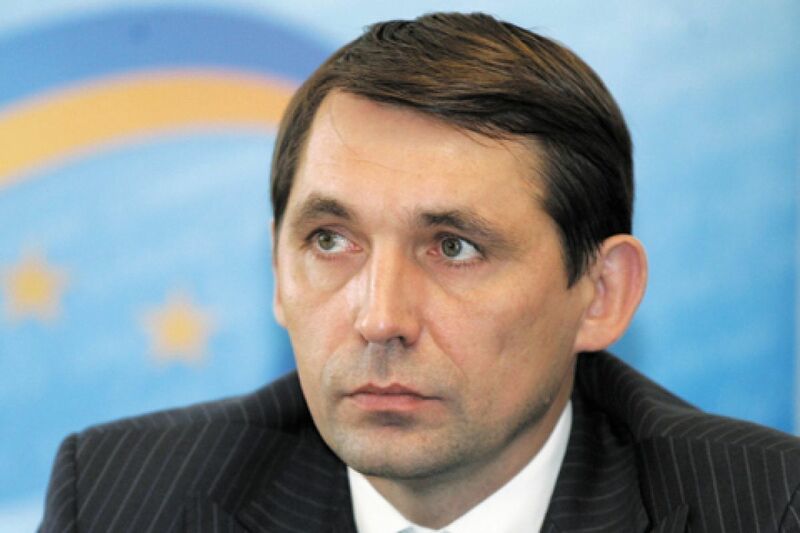 “It would be an illusion to think that by implementing the European social model according to the provisions of Association Agreement, European labour relations would be automatically introduced in Ukraine,” said Andrzej Adamczyk, member of the EESC. The significant gap between levels of labour remuneration in Ukraine and abroad, which has only widened as a result of the conflict in Eastern Ukraine, remains the main reason for the growing labour migration from Ukraine mainly to the EU Member States. The EU-Ukraine Civil Society Platform noted the progress made by the Ukrainian government in the development of the country’s climate policy. However, the platform drew attention to the importance of choosing the path of low carbon development. It also urged Kiev to increase its institutional capacity for the development and implementation of climate change policy and to communicate national targets to the local level so that local government could be involved in more coordinated action. The CSP stressed that international climate change agreements could open up a number of opportunities for investments in Ukraine, in particular in the renewable energy and energy efficiency sector.